If you’re like the rest of us, your skin might have its rough moments every now and then. You get pimples, dry patches, and redness; it’s part of being human, and nobody has completely flawless skin. You probably use your fair share of products to combat skincare woes, whether it be dryness or fine lines, acne marks or oiliness. 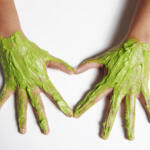 Even if you take great care of your skin, you still might find yourself with problem areas. But we’re here to help! You already know that honey has a special place in our honey beauty products, but did you know that you can use our raw honey directly on the skin? Honey is loaded with trace amounts of enzymes, vitamins, amino acids, minerals, and antioxidants that can combat free radicals on the skin, making it a powerful beauty tool. When you combine honey with other ingredients, such as plant oils, botanicals, and butter, you create natural skin repair. On its own, honey is a simple, effective solution to what ails your skin. 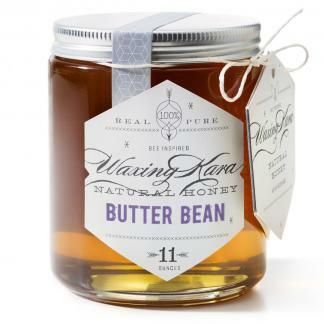 This is true not only due to the nutrients loaded in the honey, but because of its antibacterial and moisturizing properties. Honey has a lower pH than most typical bacteria can stand, and the humectant properties help to pull moisture to the skin. Important to note is that honey contains at least 18% water. Because honey contains water it’s very important especially if you are mixing other ingredients with honey for facials and body treatments that you make only enough to use in one treatment. On more than one occasion I have had deep and meaningful conversations with green beauty experts who revel in honey being its own preservative system. It is NOT. While it can slightly contribute to a preservative system, other plant-derived and synthetic components are necessary to stabilize the formula to be safe for more than a day or two. This is a great treatment for skin that is prone to acne, discoloration, and dryness. To use plain honey on the skin, simply take a tablespoon right from the jar and apply to a freshly cleansed face. Since it is a bit messy and sticky, this is best done before your morning shower-use witch hazel to cleanse the skin, pull your hair away from your face, and apply a raw honey mask. 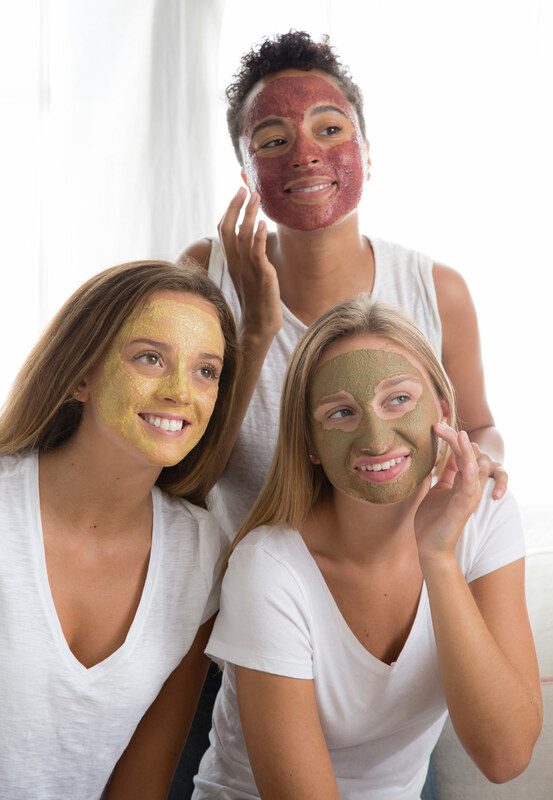 When you rinse off your honey mask, you don’t need to follow with a second cleanser-the honey will help to pull away impurities from the skin, leaving your face soft. Just make sure to follow with your favorite toner, serum and moisturizer, and you’ll be good to go! This treatment can (and should!) 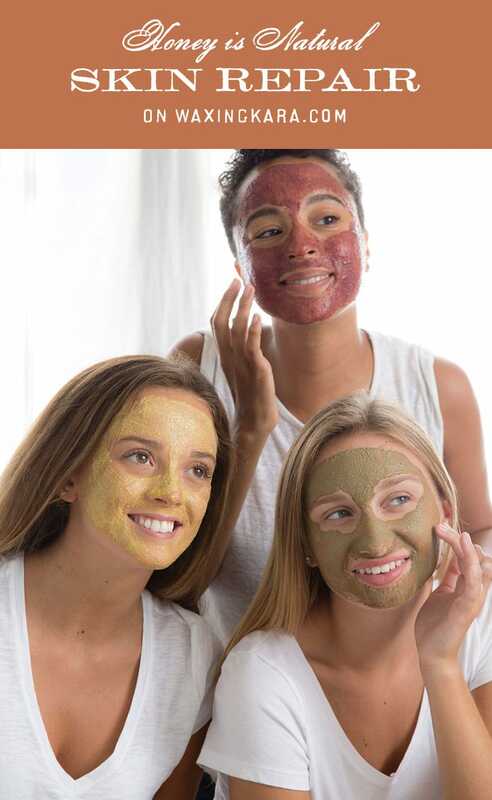 be done daily as part of your facial routine in the morning or at night. This allows you to gently cleanse and exfoliate your skin every day, and fairly quickly, you can see acne marks, redness, and dryness fade away. 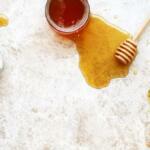 Honey can also be used on the skin to help gradually fade the appearance of light scars and marks. This is in part due to the chemical compounds in the honey, which deliver nutrients and moisture to areas of skin that are in need of regeneration. Gently massage a teaspoon or two of honey on cleansed, slightly damp skin for a few minutes and then rinse off with warm water. By delivering moisture to the affected area, along with increasing blood flow (via massage), your marks can gradually lighten. Do this process daily, morning or night, until your scar fades away. You can also add honey right into your bath tub for a moisturizing, balancing soak. 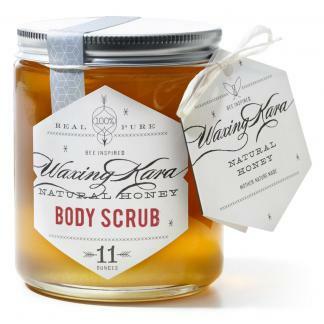 Simply add a few tablespoons of raw honey to a warm bath and swirl. 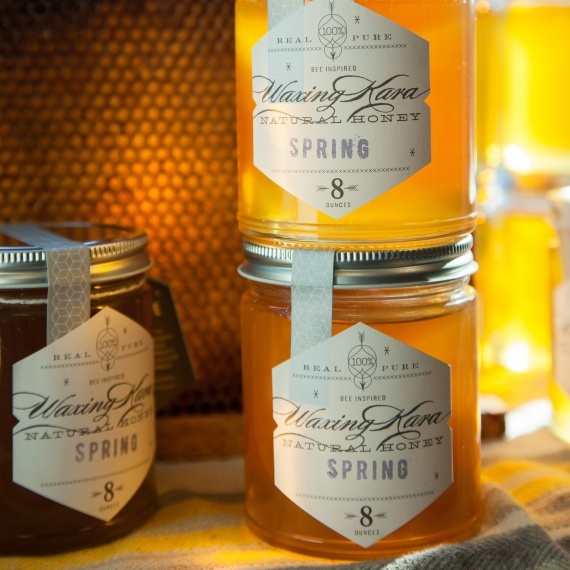 The honey will dissolve and help to pull moisture into the skin while also delivering head to toe nutrients. For all of the above treatments, we recommend using a darker honey. Sometimes dark honey, like Buckwheat, has a higher concentration of antioxidants than lighter honey, making it more powerful on the skin. 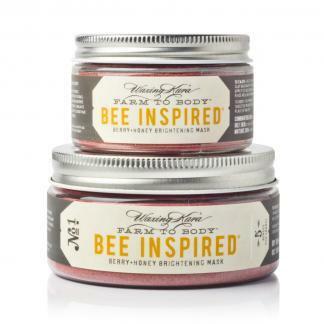 Whatever you choose, make sure it is pure, raw, and straight from the hive for the maximum skin-boosting benefits. 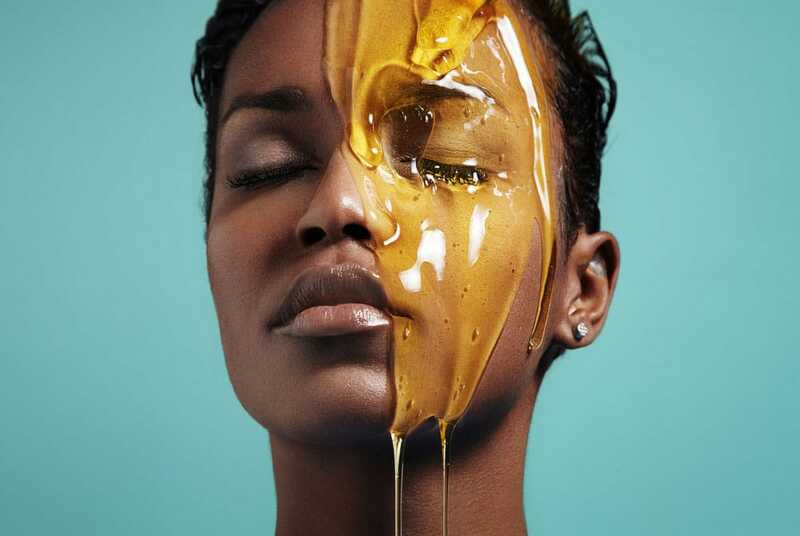 If you try any of these honey beauty tips, let us know! 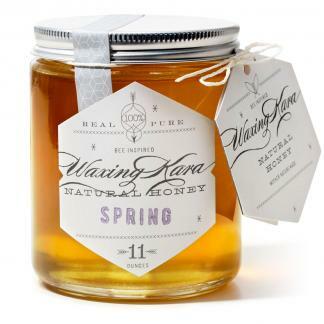 Stop into our Honey House in Owings Mills, Maryland to try out any of our honey skincare products. Don’t forget to tag us on Instagram and use the hashtag #waxingkararecipes so we can see all of your gorgeous faces!